Our guide for parents of teenagers has been created by our Voices in the Middle young people with the support of Woolley & Co.
Find useful questions to ask, tips on how to plan the conversation and advice from young people who have been through their parents separation. Back then I didn't know what was going on, I always thought everything was okay with my mum and dad as they hid away all the arguments from me and my brothers and sister, so when they did break up I was confused and upset. Talking is important! Right at the top of the list to say is: we will work hard to make sure you will keep your relationship with both parents and both sides of your family. It’s not your fault. WHAT IS IMPORTANT FOR YOU RIGHT NOW? This question shows that you are interested and wish to be more invested in your teenager’s life. It will demonstrate that you care about their priorities. The key to effective communication is active listening. In asking this question, make sure you listen to them, even if you do not receive the answer you expected. DO YOU UNDERSTAND OUR DECISION? In asking this question you will show your teenager that you are willing to open to them about your separation or divorce. This will help them understand you as individuals better and respect your decision-making. Be careful when asking this question. Do not reveal unnecessary details to your teenager about your private life as this might create discomfort and confusion. Their well-being should be your priority so do not make them sit through a discussion that they do not want to be part of. Instead, focus on reaching a common agreement with your partner that you will both have the same story to tell. HOW DO YOU FEEL ABOUT US SEPARATING? This question will show that you care about their feelings. If you know that your teenager is a bottler, do not expect them to tell you immediately. Give them time and let them get used to the situation. Try to be patient in asking this and do not insist if they do not want to tell you or they are clearly hiding their feelings. Offer them a safe space where they can talk later about it and leave the door open for them to re-visit the subject when they feel like it. Your teenager may be distracted and show discomfort during the conversation. Let them know that they can have some time and that they have the option to leave if they wish to do so. If this happens, make sure you are still open to continue the conversation. During this time, try to talk about something else and avoid fighting with them. If time passes and you still have not revisited the conversation, ask them when or if they will be ready for it. Make sure that through offering them some space you are not suggesting that time will fix your relationship with your partner. DO YOU NEED HELP FROM SOMEONE ELSE? This period is marked by the GCSE exams. Your teenager will be busy studying so your divorce should not be their priority. Ensure that they have proper support during this period and do not get them involved in your disagreements. Afford them enough time and space to study and try to improve your communication with them. If your child is stressed, they may talk, eat and sleep less, show less interest in what they love, and have more mood swings. During this time, make home life as calm and pleasant as possible. You can help your child create a clear revision plan. Arguments are counter-productive and will only stress them more. Make sure your teenager knows that you are interested in what they do and that you will both be proud of them if they do well. This period is marked by A-levels, starting new jobs and apprenticeships. The main signs of stress are less talking, eating or sleeping, irritability, negativity, headaches and stomach pain and inability to enjoy activities they previously enjoyed. It is important to ask your teenager whether they need additional support as the stress of your divorce or separation combined with the stress of their exams can be overwhelming. Try to figure out a revision plan together and do not get them between you and your partner. Having arguments will be counterproductive so try to focus your energy into creating a relaxing and comforting environment for your child. The NHS website provides useful resources on exam stress. WHAT DO YOU THINK WILL HELP YOU DURING THIS PERIOD? Providing support for your teenager during this period is a priority. They might need space and want to spend more time with friends. Re-assure them that they are your priority and try to provide emotional support for them. This question should not suggest that you will give them anything for them to be better. Try to focus on feelings rather than material support. Do not try to overcompensate for your divorce or separation with gifts as this may suggest to your teenager that you are trying to win them over to your side. Instead, ensure that your relationship develops in a positive way. Try to be aware of your teen’s fears. You will need to know what areas of their life could be affected as a result of your separation or divorce. Remember their worries and try to work a plan with your partner to reduce them. If your partner is not willing to do so, try to work out an achievable plan by yourself or with your family and friends. This question will not only show that you are aware that divorce can be difficult to talk about, but it might also prevent any additional distress or anxiety that your teenager might go through without you knowing. It is sometimes easier to communicate with a stranger rather than your family. DO YOU HAVE ANY QUESTIONS ABOUT THE LEGAL PROCESS? It may be important to your teenager to understand the legal aspects of your divorce or separation, especially as it is going to affect them as well. They might want to know how you will divide your finances and property and will certainly want to know where and with whom they will live. Make sure you have these answers prepared. If you have not planned that yet with your partner, do not give your teenager definite answers, leave the door open for possibilities. 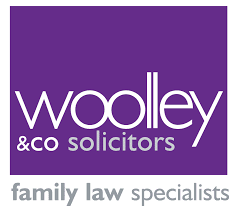 If you can reach an agreement with your partner about where your children will live, when they will send time with each parent and around your finances there will be no need for a court hearing. This kind of informal arrangement works for many families. If your children have questions about the legal process you may wish to show them the information on this web page. Active listening also plays a big part in ensuring that your teenager understands what is happening. By being an active listener, you will demonstrate how valuable their opinion is to you. When using the questions above, show interest in everything they ask. Do not try to force them to talk but make sure they are voluntarily taking the lead. Active listening involving making encouraging and reassuring statements, for example, the following. There’s nothing that can stop us from loving you. You can talk to us. We are here for you. Any question you have, don’t be afraid to ask. We want to understand and we will keep trying. If you need to talk to others, that’s OK too. I tried to tell my mom how I feel, and things get better for a while, and then it all starts up again.